Lizzie Parkin from our Head Office recently enjoyed an American adventure. Between Atlantic City and Chicago, she visited some fantastic destinations across Pennsylvania and New York State. Here are the highlights of her trip. Outbound, the flight from Heathrow to Philadelphia was in BA Club World (Business Class). Check-in was nice and quick and the flight was comfortable. It went very quickly. On the domestic flights and from Chicago back to London, we flew with American Airlines in economy class and on a range of different planes. The best was the new Dreamliner - although I do think the older planes had more legroom. Caesars Casino – Atlantic City. This hotel offers pretty much what you would expect. It’s a large and maze-like hotel and there are gaming machines and tables on the bottom two floors. We had a tower room which was large and clean. Double Tree Valley Forge – Philadelphia. This hotel is on the outskirts of Philadelphia and is a good choice if you want to do shopping as the King of Prussia mall is very close by. Again, the rooms are a good size room and clean. However, there was only one lift in operation and so if we hadn’t of been on the top floor the stairs would have been much quicker. Ithaca – Country Inn & Suites. This hotel is next door to the John Thomas Steak House - a must for any steak lover. We had a suite here, which was nice as it had a sitting room with plenty of space to chill out. Breakfast was ok. It was a standard American buffet selection. Jefferson Clinton – Syracuse. This hotel is situated in the heart of the city, close to bars and shops. The rooms were quite small, though, and it was strange that the bathroom had a floor-to-ceiling window. DoubleTree by Hilton Hotel – Utica. The hotel was undergoing refurbishment, so it would be unfair to really comment. Looked like a good location, though. The Palmer House Hilton – Chicago. The home of the brownie. It was a large, classical hotel with an atmosphere opposite to that of Caesars in Atlantic City. Working out which lift you needed was a minefield, but this was a minor issue. The hotel was very classic with a big lobby, painted ceilings and dim lights. My room was nice and big but the bathroom was a bit tiny. The property is in a central location with the overground train running under the window. We had lots of different activities during the trip. In Atlantic City, we enjoyed a helicopter ride over the coastline, a tour of the Atlantic City Organ and had a chance to test ourselves in the Casino and Tropicana Escape room. 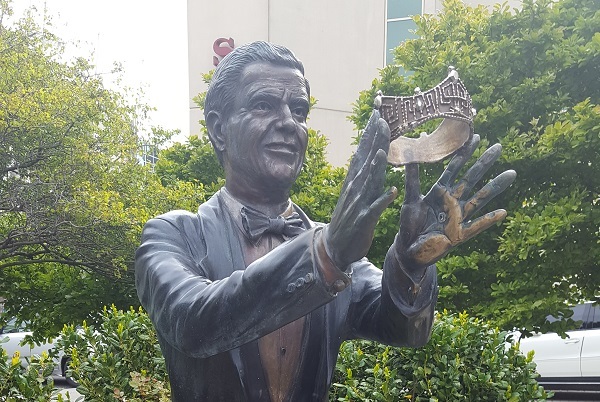 We also learnt how AC is the birthplace of the Miss America pageants. Philadelphia – We had a Segway tour and lunch at Reading Terminal Market. We were given a lunch voucher and were free to explore the market and pick our own lunch. I had a Philly cheese steak from Carmels, which is where Obama had lunch before. 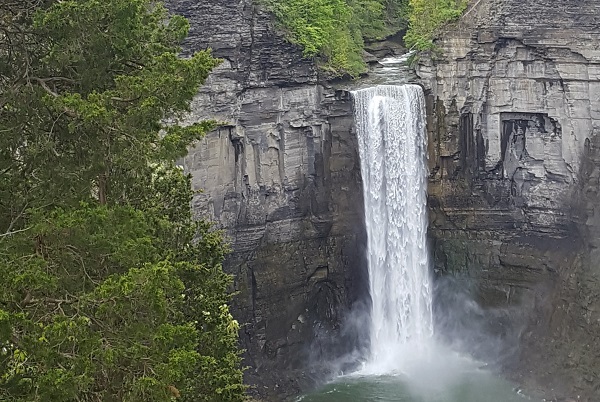 Ithaca – We had a tour of the farmers’ market and then went on to Ithaca Falls. We also enjoyed an Americana Wine and Beer tasting, where they produce wine from the local Finger Lakes. Dinner that evening was at the John Thomas Steakhouse and was amazing. Syracuse – We started with a lunch lake cruise and then had a cider and vodka tasting at Beak & Skiff and 1911 Spirits. This was followed by a tractor ride around the orchard. We then finished with a walking tour of Syracuse. Utica – We started with kayaking at Verona Beach and then had an afternoon of wine and beer tasting. The wine tasting was at Villa Verona and the beer tasting at FX Matt Brewery where they make their own beer and soda (alcoholic and soft options). Then we finished with a surprise visit to the new speakeasy in town for a bourbon tasting. 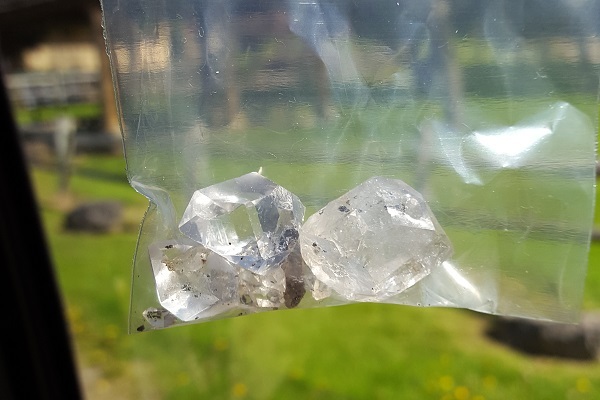 Before our flight to Chicago, we also visited the Herkimer Diamond Mines. Chicago – We had a very busy day and a half here. 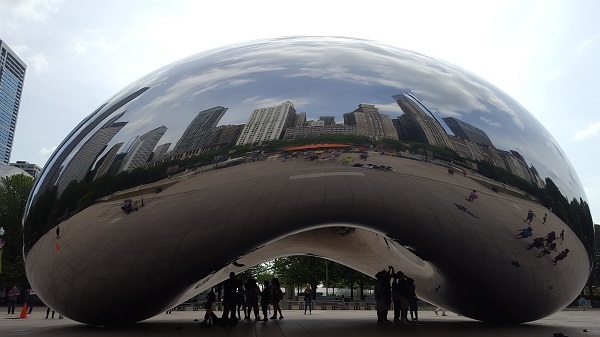 It started with a walking tour including the Bean monument and Millennium Park, where there are statues made from old Boeing aircraft tyres. We then enjoyed a delicious Chicago pizza lunch and took an architectural cruise. The following day, we had the morning at Navy Pier where we had free access to the rides. Chicago – Why? Because after all these years in Travel, I only thought of Chicago as a transfer hub and of cause for being the setting of ER. But after realising the city has so, so much to offer, I’ve added it my list of honeymoon ideas. I like how one moment you can be in the hustle and bustle of the city and the next you can be looking out across Lake Michigan from Navy Pier. There are plenty of choices for shopping, dining and entertainment, from museums to river cruises and free walking tours. I would recommend Chicago as an alternative to NYC and I think Atlantic City is another option for anyone wanting to visit Las Vegas. This tour would suit people who want a fly/drive off the beaten track but with a big start and finish. If you want to plan an escorted tour or fly/drive similar to the trip which Lizzie enjoyed, our team is standing by with recommendations and advice. Visit any of our shops across East Anglia and the South Coast, including our newest travel agents in Christchurch.